Industry experts discuss PFAS, a new class of emerging contaminants challenging those in the field. As nitrate and naturally occurring contaminants have presented long-standing concerns to groundwater professionals, a new class of emerging contaminants is providing a whole new set of challenges for those in the field. Laboratory tests investigating the treatment of PFAS using chemical oxidant mixtures at elevated temperatures. Photo courtesy Janice Cooper of the University of Waterloo. immune system suppression, and endocrine system disruption. Since PFAS pose a risk to human health and the environment at low concentrations, the U.S. Environmental Protection Agency established in 2016 a health advisory for two PFAS compounds (the sum of PFOA and PFOS) in drinking water at 70 parts per trillion. The EPA also unveiled its PFAS action plan on February 14 to address the growing concern around tainted drinking water and groundwater. The agency stated it will propose a regulatory determination, which is the next step in the Safe Drinking Water Act process for establishing a federal maximum contaminant level for PFOA (perfluorooctanoic acid) and PFOS (perfluorooctanesulfonic acid), by the end of the year. PFAS are presenting challenges for those in the field sampling because of the pervasiveness of items that can affect sample integrity like waterproofed gear, sunblocks, and even insect repellents. 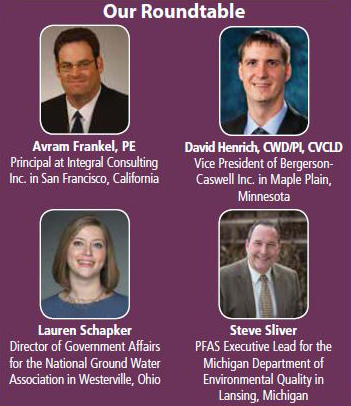 Water Well Journal conducted a roundtable Q&A on PFAS with four industry experts. (See box titled “Our Roundtable.”) Frankel, Sliver, and Henrich took part in a Plenary Session at Groundwater Week 2018 titled “PFAS: When the Word Becomes Reality.” The session drew a large crowd and provided insight on what is sure to be a hot topic for years to come. 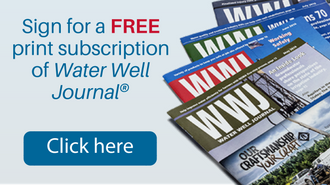 Water Well Journal: How often are you getting questions about PFAS? Avram Frankel: A lot. My colleagues and I receive a wide range of PFAS queries regularly from our clients—which include public utilities, municipalities, industry, attorneys, insurers, and others. There are also a lot of questions between consultants, contractors, and technology vendors around PFAS issues. Steve Sliver: While we have a robust public outreach and community engagement program on PFAS, we still get questions, which is a good thing. People are interested. Their questions give us an opportunity to help them understand what we know and what we don’t know about PFAS and any contamination they may be concerned about. We can explain what we are doing to address it. However, how many questions or calls we get about PFAS is difficult to determine because we know calls and emails come daily to numerous staffs throughout the state and multiple state and local agencies from residents, local governments, businesses, and industry. Over the past year, the MDEQ received a total of 2497 PFAS-related calls to our Environmental Assistance Center alone. The frequency of those calls has peaked to as many as 54 per day, 185 per week. Lauren Schapker: There is significant interest among the public, elected officials, and other industry groups about PFAS. However, in my job I try to stay busy asking questions rather than answering them. I routinely question members of Congress and Administration officials about what they are doing to address the issue of contamination and what plans are to educate the public, remediate contaminated groundwater, and ensure drinking water supplies are safe. A whole house filter system was installed in January 2018 in North Kent County to combat PFAS contamination in this region of Michigan. Photo courtesy Michigan Department of Environmental Quality. WWJ: When someone calls and says they have a positive test result for PFAS, what advice do you give them? Avram: Well, it can depend. An industrial client may have different concerns than a domestic well owner. We recommend confirmation sampling by qualified personnel, especially considering the sampling and analytical challenges associated with PFAS—particularly cross-contamination and potential for false positives. Next steps can take a variety of forms. For domestic well owners, that often includes following reporting procedures that have been established in many states. Steve: If someone gets a positive result from their own independent testing of a private well outside of an area where we are actively investigating known or potential contamination, we will promptly evaluate what we can about whether the test result is valid and what we know about potential sources in the area. Unless the sampling and analytical methods are questionable, our state and local public health professionals will advise the resident on the health risks associated with PFAS exposure in drinking water and whether the results warrant any action like bottled water, point-of-use (POU) water filters, and follow-up monitoring. For example, if PFOA and PFOS combined exceed the 70 parts per trillion (ppt) lifetime health advisory level, alternate drinking water like bottled water or POU filters is recommended. But even if the result is less than 70 ppt PFOA and PFOS combined, we may still advise the resident to consider alternate drinking water because we don’t know enough about potential sources or hydrogeology in the area to be confident the concentrations will remain below actionable levels. It can be a challenge to offer advice on independent test results. We can advise private well owners with much more confidence when results come in as part of an investigation of a known or suspected source. We are doing our best to let science drive our investigations and responses. Before we even collect samples, we develop a sampling plan and public health action plan. The sampling plan typically presumes incremental sampling where the results from each phase of sampling inform where the next samples are collected. The sampling plan is based on what we know or suspect about any high strength source in the area, hydrogeological factors like groundwater flow direction and rate in the aquifers, and proximity to receptors like private wells. The corresponding public health action plan guides our recommendations for alternate drinking water, monitoring, or presumptive alternate drinking water, considering contaminant levels, hydrogeology, and how long the result is predicted to be valid. Much progress has been made in refining granular activated carbon (GAC) designs to treat PFAS. WWJ: What are routine maintenance tips that you suggest to residential and municipal well owners to protect their water system? include well modification, well replacement, or wellhead treatment. Proving out ion exchange (IX) systems at full scale has also been important. IX can treat a wide range of PFAS. Photos courtesy Avram Frankel, PE, of Integral Consulting Inc.
Steve: For residential well owners, some basic steps can go a long way to protecting their water system. Know your well depth. Sample your well routinely for bacteria, nitrates, and arsenic. Maintain the wellhead. Keep it above grade and slope the grade away from the well. Maintain isolation distances between the well and contaminant sources like septic systems. Especially for PFAS, which can readily travel through soil to groundwater, don’t store or use chemicals near the well. Lastly, avoid cross-connections and follow all other local plumbing codes. These basic steps can be extrapolated to operators of the larger systems like municipal water supplies. 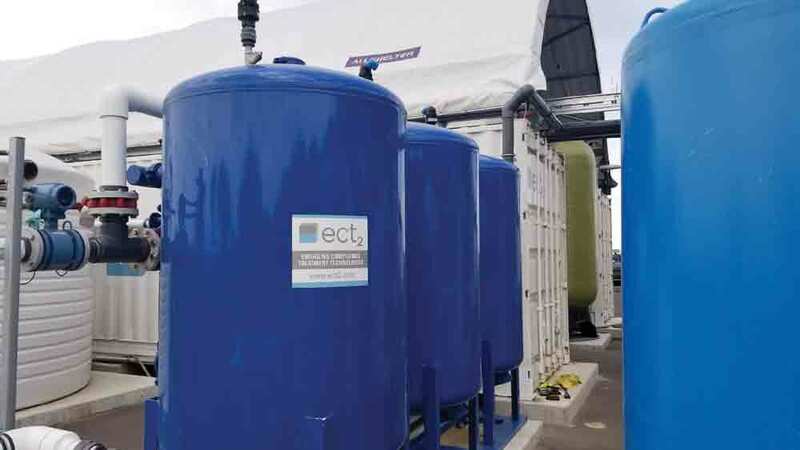 A robust cross-connection control program and established wellhead protection areas are important for knowing your susceptibility to contamination, preventing contamination, and routine monitoring of the source water is also important. The operators should also work with regulators of potential contaminant sources to understand implications of groundwater monitoring results and corrective action programs for those sites. WWJ: In 2018, both chambers of Congress held hearings on the PFAS problem and lawmakers advanced several provisions to address PFAS contamination. With a new Congress in place, do you anticipate the same level of interest in pursuing legislation this year? Lauren: Yes, I anticipate there to be an intense focus on PFAS in Congress again this year. While much of last year’s action focused on items like hearings and conferences to learn about the problem, I’m hopeful this year is focused much more on action. Members spent 2018 determining the scope of the problem, now it’s time to take what they’ve learned and pass legislation. I hope Congress focuses on legislation to clean up contamination, ensure those in contaminated areas have the resources they need to test and treat their water, and to create a national picture of PFAS contamination. WWJ: From your interactions, what do you think are the most common misnomers or misconceptions about PFAS? Avram: Some misconceptions are not understanding that PFAS refer to a large group of compounds and that not all PFAS are created equal. That is, different compounds have different properties, occurrence, potential health effects, and, of course, not all are regulated. Relatedly, some folks believe all PFAS compounds are regulated, when in fact there is a patchwork of state regulations and guidance that is dynamic and evolving—as is our understanding of potential health effects. I think it is also important to put PFAS compounds such as PFOA, PFOS, PFBS, and PFHxS that are currently regulated to some degree in some states in the context of other regulated compounds, such as TCE, benzene, arsenic, etc., that have been regulated due to their well-established risk to human health for a long time. In other words, there is a misconception that PFAS compounds are as or more toxic than other chemicals, which may or may not be true, or in some cases we know not to be true. Regarding misnomers, there is the issue that some people confuse PFAS with PFOS. PFAS are a family of chemicals, and PFOS is one of the compounds in the family. Steve: It seems we are too often using the PFAS acronym to over-generalize how this class of compounds behave in the environment, respond to treatment, and affect our health. We have limited studies on only a few of the thousands of PFAS. From that we know the environmental transport and fate of these compounds can vary, that treatment technologies are more effective on some PFAS than others, and that some bioaccumulate considerably more than others. Going forward, we need to be careful to not let that generic approach lead to unintended consequences. Lauren: The most common misnomer I run into is people assuming PFAS is one chemical, rather than a group of thousands of different chemicals that have different properties and different health risks associated with them. WWJ: What advice would you give readers to combat calls from well owners considering it may be best to switch to city water? David Henrich: I would try and ask them what they are looking for in their water system. There could be many better, more cost-effective options including treatment, drilling a new well, or a smaller shared system or community system. As it pertains to treatment, there are several good options that may treat whichever perfluorinated chemical is impacting their well. Some take surprisingly little maintenance. 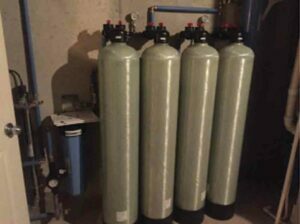 If a reverse osmosis system matches up with your contaminant, it could be as simple as changing filters and membranes periodically. It also could be an option to drill a well into a different formation that hasn’t been impacted. If this option is available,I would advise them to look for cost sharing or other programs that should be offered to replace their impacted well. As a last resort, you can investigate smaller, multi-home wells that would allow neighbors to share a water supply and help defray upfront costs. This would rely on regulatory ability to do so and the availability of a clean aquifer to access. PFAS have been on NGWA’s radar for several years and will remain a priority issue for the foreseeable future. The Association has created a Groundwater and PFAS resource center for the general industry and content only available to NGWA members. The center includes PFAS FAQs, top 10 facts about PFAS, and a homeowner checklist, among other items. NGWA is also the publisher of the guidance document Groundwater and PFAS: State of Knowledge and Practice. The guidance document, created by 36 NGWA volunteers who spent 1100 hours on it over 12 months, is a comprehensive eight-part piece. It summarizes the fate, transport, remediation, and treatment of PFAS, as well as current technologies, methods, and field procedures. The guidance document is free to NGWA members and can be purchased by nonmembers in the NGWA Bookstore. 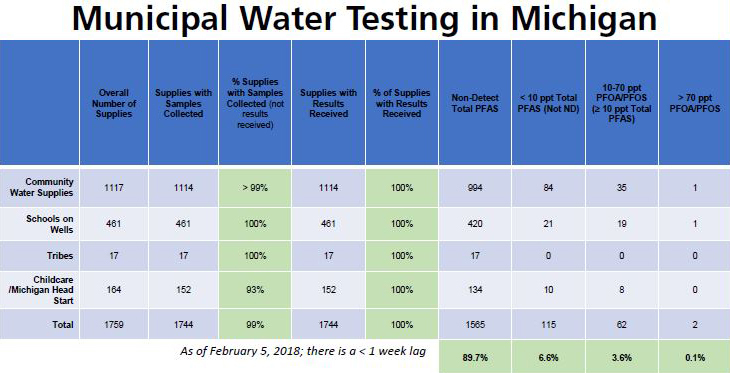 WWJ: In 2018, Michigan undertook statewide tests to determine the full scope of PFAS contamination and tested 1380 public water supplies and at more than 400 schools that operate their own wells. What were your impressions of the findings and how are those guiding your next steps? Table 1. Courtesy Michigan Department of Environmental Quality. We did not detect PFAS in about 90 percent of the samples, and 97 percent had less than 10 ppt total PFAS, a concentration we decided was a good cutoff for whether there was a contaminant source that warranted follow-up at this time. Only 3 percent had PFAS concentrations between that 10 ppt total PFAS and 70 ppt PFOA and PFOS combined. Those require follow-up monitoring, source investigation, and evaluation of longer-term measures to reduce the PFAS concentrations. This statewide testing did identify two supplies that exceeded the 70 ppt action level, and we are fortunate to have alternate water in place for both while the source investigations and remediations proceed. Going forward, we intend to use the results of the statewide testing to help inform where we should target testing of other supplies, like some of the 9000 noncommunity supplies and even some of the one million private residential wells. Overall, the statewide effort indicates there is no exposure to PFAS in drinking water from community water supplies that serve 75 percent of our residents. It also showed, however, that some drinking water supplies have unexplainable concentrations of PFAS that will require further investigation and potential treatment or replacement. A significant plus of that testing is we found and corrected unacceptable exposures to more than 3000 residents whose supplies were found to be contaminated. A video interview with Avram Frankel, PE, one of the experts interviewed in the PFAS Roundtable, is available for viewing. Frankel expounds on his answers here and shares what water well contractors and consultants are being asked to do regarding remediating PFAS. WWJ: New Jersey became the first state to regulate certain types of PFAS chemicals in 2018. What is on the horizon for Michigan possibly doing the same? Steve: There is no specific plan in place for developing regulatory standards like PFAS maximum contaminant levels for drinking water supplies. We continue to work with other states and our federal partners to promote the establishment of national standards by the EPA under the Safe Drinking Water Act. 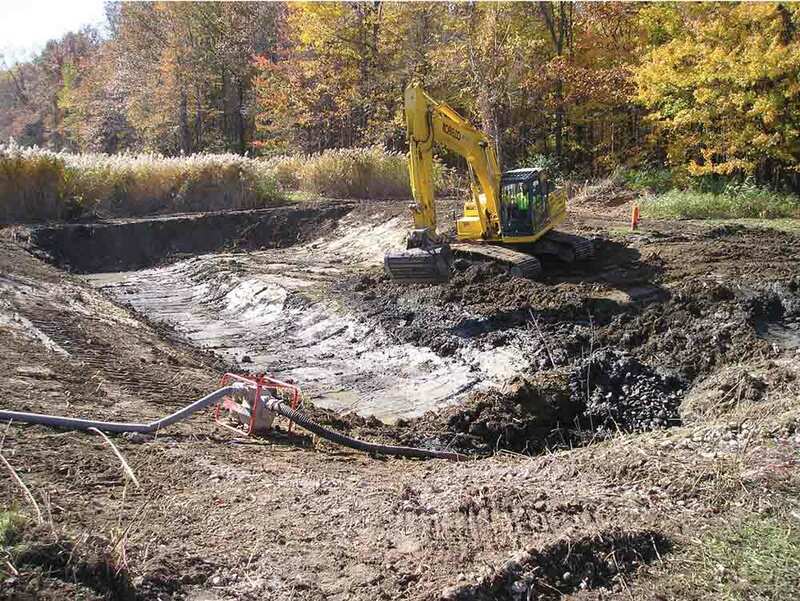 Wastewater sludge from a drainage ditch is excavated for landfilling at a remediation project in Ashtabula, Ohio. This type of waste is a potential source of PFAS. Photo courtesy Kevin Svitana, Ph.D., of Otterbein University. We received recommendations from our Science Advisory Panel in December 2018 for evaluating PFAS further. While the panel did not recommend new or revised standards, it did note the current 70 ppt lifetime health advisory level for PFOA and PFOS combined in drinking water may not be low enough to guard against health effects. It is important to note Michigan does have enforceable standards for PFOA and PFOS in surface water and groundwater and is using those successfully today to direct the investigation and remediation of groundwater and surface water sources. WWJ: What research are you seeing that makes you feel positive about the progress being made in PFAS remediation? Avram: Regarding water treatment, a lot of progress has been in refining granular activated carbon (GAC) designs and proving out ion exchange (IX) systems at full scale. IX is particularly important given the range of PFAS it can treat. As a treatment system practitioner, it is important to have multiple tools in the toolbox. I would like to see more work from domestic well to water treatment plant scales on reverse osmosis and nanofiltration to further prove out membrane filtration technologies, including which PFAS can be reliably removed and associated maintenance requirements—especially for domestic systems. 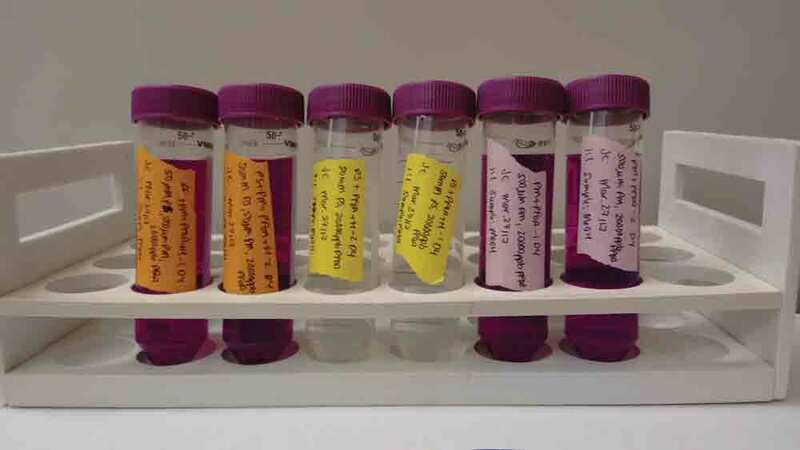 There is also a lot of other research at the bench and field scales on water treatment technologies that may be useful to concentrate PFAS waste streams prior to treatment by other means, or that may be able to actually destroy PFAS compounds. We’ll see. It’s important to keep a neutral perspective amid the sandstorm of research papers and vendor/consultant claims. I also try to remind people when it comes to groundwater remediation, all the key principles and hard lessons learned with regard to aquifer fate and transport, remediation hydraulics, mass flux-based decision making, and potable water treatment and delivery—not to mention all the other great work that has been completed to further out understanding of groundwater remediation and treatment—applies to PFAS just as much as any other chemical of concern. We are also in the part of the technology development cycle where a lot of applications will never get off the bench, so responsibly separating the effective and implementable options from the ocean of technology and remedial approach flotsam and jetsam becomes critical. It would also be nice to see more evolution of soil remediation technologies. WWJ: Avram, as you’ve spent a large part of your career addressing emerging contaminants of the past and present, where does remediating PFAS rank among other contaminants in terms of difficulty? Are you finding remediating PFAS more pervasive than other contaminants you’ve worked with in your career? Avram: I think it remains to be seen how pervasive PFAS are in groundwater compared to other emerging contaminants or formerly emerging contaminants that are now under longstanding regulation. A significant challenge is the low part per trillion regulatory thresholds. Groundwater plumes get really big, really fast at parts per trillion (ppt) concentrations. Imagine how big some of our chlorinated solvent plumes would be at ppt thresholds. And, to state the obvious, compounds that do not appear to biodegrade are an additional remedial challenge. On the other hand, highly soluble constituents such as PFAS can be easier to remediate by certain methods and under certain conditions than other chemicals. WWJ: Lastly, what advice do you have for those in the groundwater industry who want to be a part of the ongoing quest to solve the PFAS dilemma? David: Get involved now. There are a lot of people who have put a lot of work into being knowledgeable about PFAS. We need to stay up to date and use that knowledge, so we can have happy consumers drinking safe, clean water. Also, if you are looking to serve customers with impacted wells who have chosen a treatment option, insist they get a service plan and make sure their water treatment system is being serviced properly. Contractors in our industry will need to be more proactive in being part of the PFAS solution. Avram: As with other environmental challenges, open-mindedness, collaboration, and information sharing will continue to be key to effectively and appropriately addressing PFAS impacts. Right now, though, data-driven and scientifically grounded decision making is particularly critical, especially with respect to setting of regulatory limits of any kind and evaluation of remediation and water treatment technologies. Steve: Stay informed, recognize we have a lot to learn, and engage with your peers, communities, and policy makers to ensure we apply the best available science in how we investigate and respond to PFAS contamination. The groundwater industry, especially water well drillers, have a vast amount of knowledge regarding local conditions. The information within Michigan’s GIS mapping resources on water well locations and well depths, supplied by Michigan’s registered water well contractors, was instrumental in immediate public health responses when PFAS were detected in the groundwater. We appreciate their partnership. Lauren: My advice would be to learn about the risks and how to effectively communicate those risks to those affected. The world of PFAS is still full of a lot of unknowns, so getting accurate information to well owners, community members, and public officials will be critical. Thad Plumley is editor of Water Well Journal and director of information products at the National Ground Water Association. He can be reached at tplumley@ngwa.org. 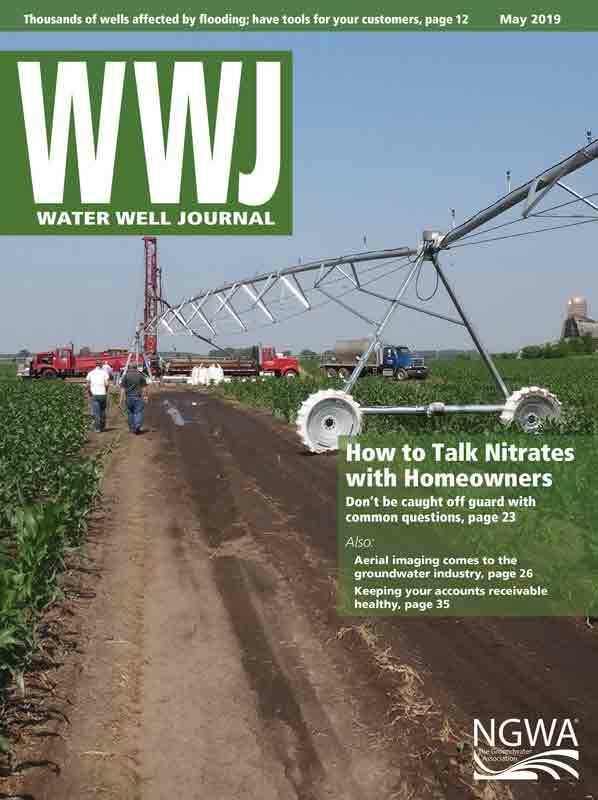 Mike Price is senior editor of Water Well Journal and also contributes to the Association’s scientific publications. He can be reached at mprice@ngwa.org.